Be like a government agency, well sort of, ok maybe not really, with contravision. 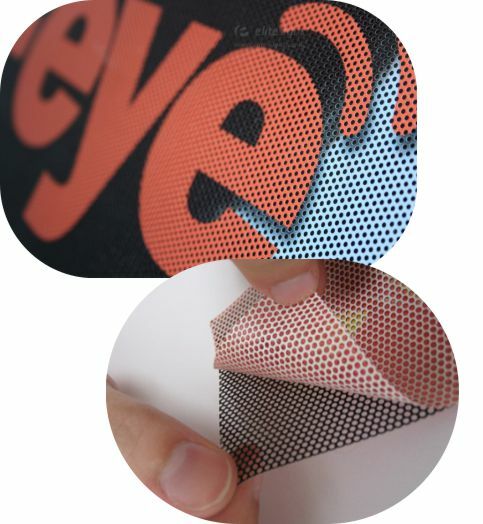 Printed contravision is mainly used to advertised on windows, either vehicle or building. Also known as one way vision, it is a vinyl with small holes in. Being a vinyl it has an adhesive backing allowing for easy application to glass, even though we probably do still recommend a professional. Print some contravision and put it on the rear window of your car, this will allow you to still see the horrible traffic behind you but at least they will see your business advertising. Also great for shop or building windows, Banners Online can print it full colour which will make your business windows look great and will still let you see out. Wont block too much of the light either.